416 Marlborough is located on the SE corner of Marlborough and Massachusetts Avenue, with 406 Marlborough to the east, 424 Marlborough to the west, across Mass. Ave., 411 Marlborough to the north, across Marlborough, and 355 Commonwealth to the south, across Alley 429. 416 Marlborough was designed by architect Willard T. Sears and built in 1895-1896 as a 32-unit apartment building, The Marlborough, for Washington Butcher Thomas. Washington Thomas was a sugar manufacturer and an investor in real estate. 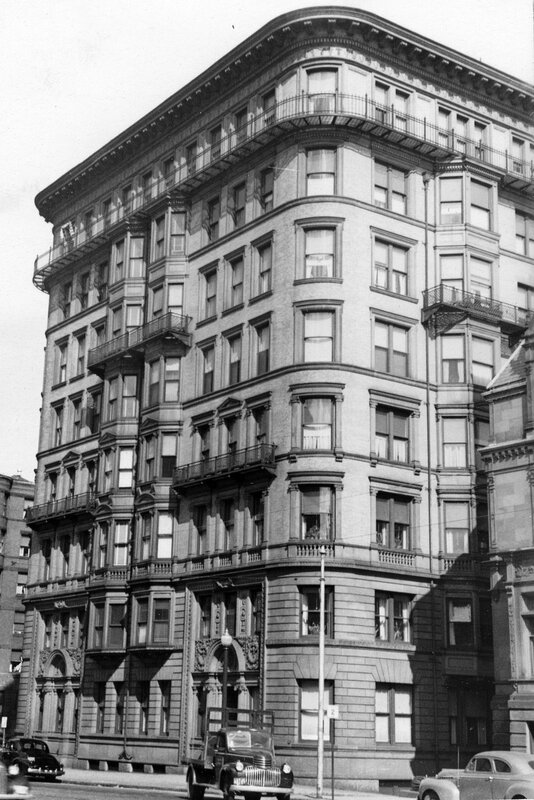 In addition to The Marlborough, in 1898-1899, he built the Hotel Cambridge at 483 Beacon. He and his wife, Caroline (Wadleigh) Thomas, lived at 20 Gloucester. Washington Thomas purchased the land for 416 Marlborough on November 30, 1892, from Walter C. Cabot and the estate of Benjamin Williams Crowninshield. 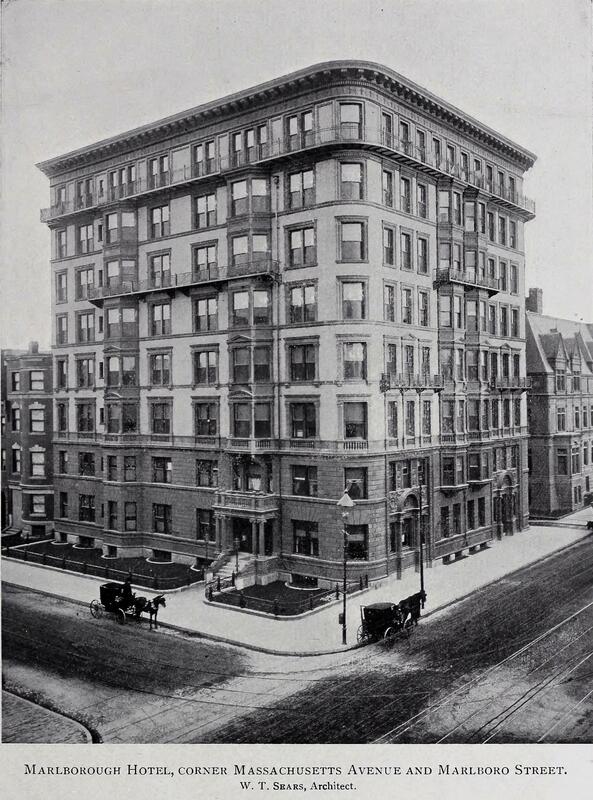 It was the western 106 feet of a parcel with a 498 foot frontage on Marlborough that Walter C. Cabot and Benjamin W. Crowninshield had acquired on January 20, 1880, from John Brooks Fenno and William Storer Eaton. J. Brooks Fenno and William Eaton had purchased the land that same day from Grenville T. W. Braman, Henry D. Hyde, and Henry M. Whitney, trustees of a real estate investment trust that had purchased several parcels of land on March 1, 1872, from the Boston Water Power Company. 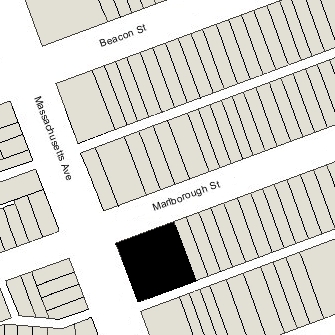 Click here for an index to the deeds for 416 Marlborough, and click here for further information on the land on the south side of Marlborough between Hereford and Massachusetts Avenue. On December 26, 1911, Washington B. Thomas created the Marlborough Real Estate Trust, with Leslie C. Wead and Edward Peirce as trustees, to hold his real estate assets. When he established the trust, he transferred The Marlborough at 416 Marlborough, the Hotel Cambridge at 483 Beacon, and the Symphony Chambers at 327 Massachusetts Avenue and 242-248 Huntington to the trust. Washington B. Thomas died in May of 1929. On December 29, 1933, the Marlborough Real Estate Trust transferred The Marlborough and the Hotel Cambridge to a trust that Washington B. Thomas had created in April of 1920 for the benefit of his wife, Caroline, and their children, Helen (Thomas) Warren, the wife of Samuel Dennis Warren, III, and Margaret (Thomas) Gardiner, the wife of William Tudor Gardiner. Herbert G. Sumner, William Tudor Gardiner, and Walter E. Hewins were the trustees. They held all of the outstanding shares of the Marlborough Real Estate Trust, which they terminated in conjunction with the transfer. On March 1, 1955, The Marlborough and the Hotel Cambridge were acquired by Miss Katherine F. Ladd. She was a secretary with Dreyfus Properties, which managed the buildings, and held them in her name on their behalf. She lived in Roslindale. 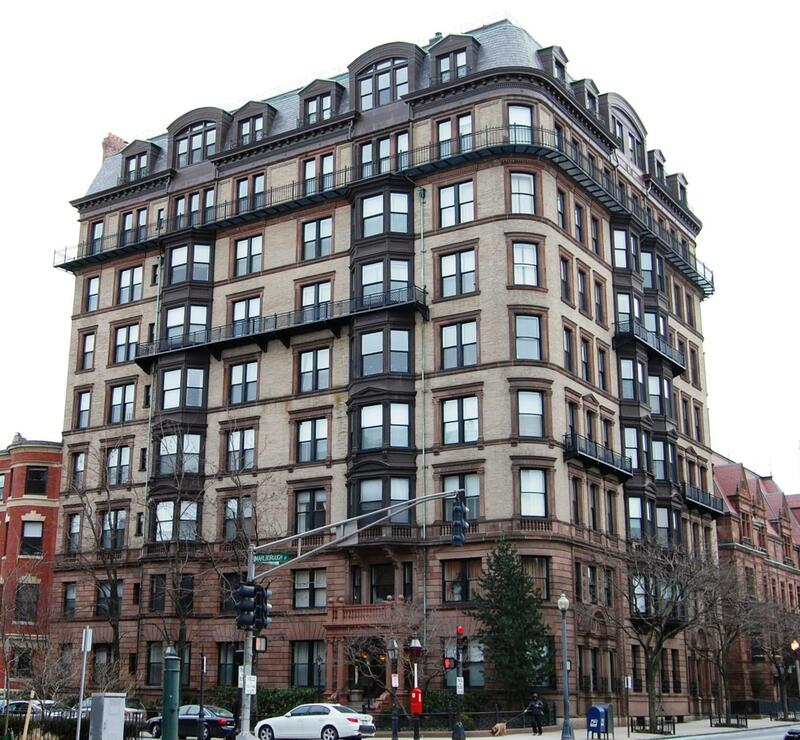 On March 10, 1971, The Marlborough was acquired by Leonard S. Green, Theodore W. Berenson, Albert L. Manley, and Joel B. Wilder – all executives of Berenson Corp. — as trustees of the Back Bay Trust. On the same day, the Hotel Cambridge was purchased from Katherine Ladd by Harold Brown, a real estate developer, and Leonard S. Green, as trustees of the Beacon Towers Trust. 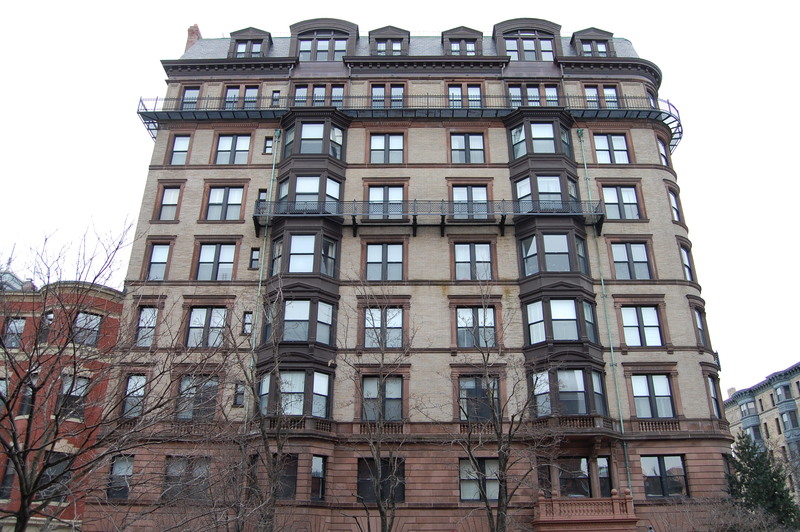 On January 13, 1978, the Boston Mutual Life Insurance Company foreclosed on a mortgage given by the Back Bay Trust and took possession of The Marlborough. On November 9, 1978, The Marlborough was purchased from Boston Mutual Life by Hal B. Decker and Thomas H. Decker. The property changed hands and on August 27, 1986, was acquired by Berton M. Hochfeld, trustee of the Veaonia Realty Trust. On November 1, 1989, the Veaonia Realty Trust, converted the property into seventy-one condominium units, seventy residential units and one commercial unit, the Four Hundred Sixteen Marlborough Condominium. On June 1, 2000, the condominium master deed was amended to convert the commercial unit to residential use.